Though it sounded like fake news, it got large coverage, while one of the greatest achievements for India’s defence preparedness went practically unnoticed. On May 9, the Border Roads Organization (BRO) created history by establishing a road link beyond Limeking in Upper Subansiri district of Arunachal Pradesh, between Tama Chung Chung (TCC) to Takshing, the last Indian village before the border with China. The road covers a distance of some 80 kilometers before reaching the small village. The conditions, the terrain, the hardness of the rock seemed insurmountable obstacles. The work on the TCC-Taksing link began in 2009, the BRO explained, “it continued unabated despite number of challenges and hindrances, including inhospitable terrain, inclement weather conditions with rains for almost nine months in a year, no access to this stretch of uncut road having dense foliage, undergrowth, rugged and steep mountains, while ferocious river Subansiri flowing nearby posed greatest challenge for transportation of men and materials.”. Another news which, like the Takshing road, will greatly improve India’s defence preparedness, got better coverage; the Prime Minister inaugurated the Zojila project; the 14.2 km tunnel will provide an all-weather connectivity between Srinagar and Leh. It will eventually cut down the time to cross the Zojila pass, situated at an altitude of 11,578 ft on the Srinagar-Kargil-Leh National Highway, from the present 3.5 hours to 15 minutes. The state-of-art tunnel will have a transverse ventilation system, uninterrupted power supply, tunnel emergency lighting, CCTV monitoring, pedestrian cross passages at every 250 metres, as well as emergency telephones and fire-fighting cabinets. The construction will also provide employment for local people for the years to come. This may open the way to an even more strategic project: a railway line to Ladakh, which is scheduled as one of the 14 strategic connectivity projects initiated by the Ministry of Defence to protect India’s border areas. Already in November 2017, the BRO constructed the world's highest motorable road in Ladakh, passing through Umlingla Top at a height of over 19,300 feet. Starting near Hanle in East Ladakh, the 86 km long strategic road runs close to the Line of Actual Control (LAC); it connects Chisumle to Demchok village. All this could be a first step towards another historic development. 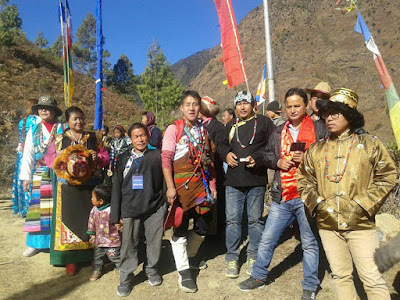 The Daily Excelsior reported a press conference of the Himalayan Buddhist Cultural Association (HBCA) which urged the Prime Minister to fulfill the long pending demands of Ladakhi people; namely the inclusion of Bhoti language in 8th Scheduled of Indian Constitution and the opening of the Kailash Mansarovar road from Ladakh via Demchok. HBCA President Tashi Targais said that the Kailash Mansarovar route via Demchok is not only the shortest route but it will also boost the economy of Ladakh region. Reopening the Demchok landport could be a great benefit for Ladakh, but also for Western Tibet and China; it would not only give a tremendous boost to trade and pilgrimage, but it also could have a ‘Nathu-la’ effect: remember the skirmishes in Sikkim before the pass officially reopened in July 2006. The opening for trade had the effect to fix the border, drastically reducing the tensions in the area; since then the pass has become an important Border Personnel Meeting point between India and China. For years, the people of Ladakh have asked for the reopening of the ancient route via Demchok; if it happens, it could become part of the New Silk Road project, dear to President Xi Jinping. Beijing should let people and goods flow again over the Himalaya. China should allow the devotees wanting to visit Kailash-Manasarovar to use the Demchok route again. It would have an additional benefit; it would stop the smuggling between China and Ladakh, which poses serious security risks of infiltration for India. The Prime Minister should definitely raise this question with his Chinese counterpart when they meet next month. In the meantime, kudos to the BRO. Is China prospecting gold in this river? 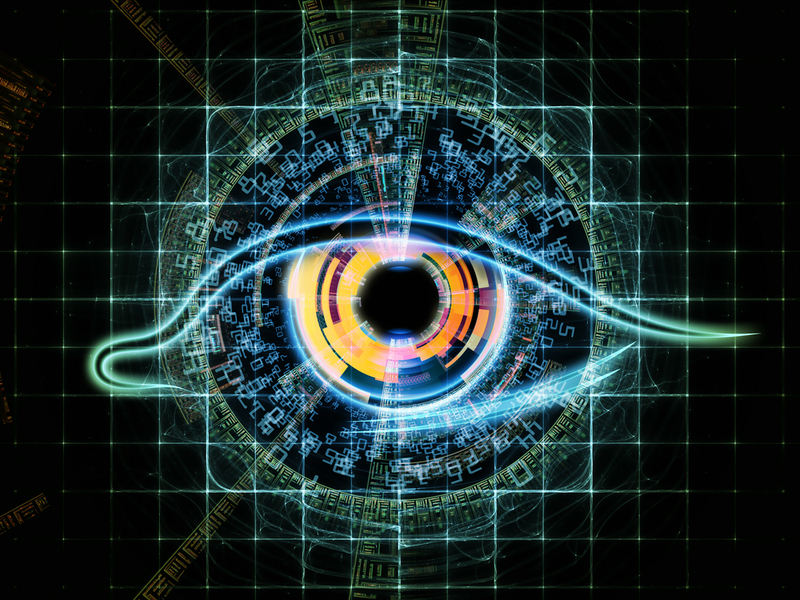 In 2003, China’s Central Military Commission approved the concept of ‘Three Warfares’, namely: (1) the coordinated use of strategic psychological operations; (2) overt and covert media manipulation; and (3) legal warfare designed to manipulate perceptions of target audiences abroad. In recent months, Beijing has been intensifying the implementation of this military/civilian doctrine, particularly ‘media manipulation’. 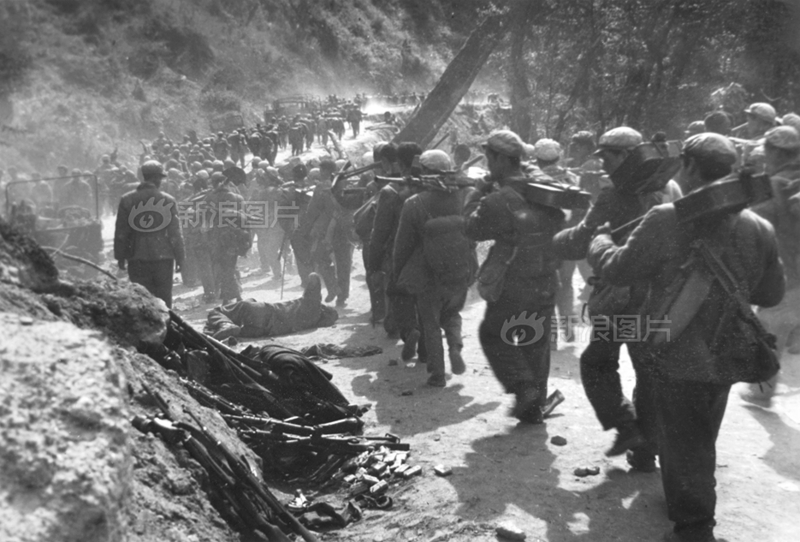 The article mixes the Longju border incident in 1959, the 1962 war with India, the Chinese claims and the supposedly huge deposit of rare earths. The sad part of the story is that the article was immediately copied and pasted by PTI and the next morning, the entire Indian media reported about the issue and linked the happenings on the Tibetan plateau with the Chinese advances in the South China Sea. Ironically, a day later, the ultra-nationalist Chinese tabloid, The Global Times, called the article “a dodgy report disturbing the Sino-Indian ties.” It said that the article had lit a firestorm but remarked that after Indian Prime Minister’s visit to Wuhan, the two countries have achieved major progress in strengthening mutual trust, further it said China “has no intention of provoking border disputes”. Whether it is an orchestrated move by Beijing to first plant a ‘dodgy’ piece, knowing fairly well that some Indian correspondents in Beijing are experts at copy-paste reporting, and later to throw water on the fire, is difficult to know. It is not the first time that The South China Morning Post has done it. On October 29, 2017, Jack Ma’s newspaper reported that “Chinese engineers are testing techniques that could be used to build a 1,000km tunnel — the world’s longest — to carry water from Tibet to Xinjiang;” again the Indian media jumped to the bait. There is no doubt that India needs to be prepared for Information Warfare in the coming months. Another favorite topic of the Chinese media propaganda has been the 1962 War with India. 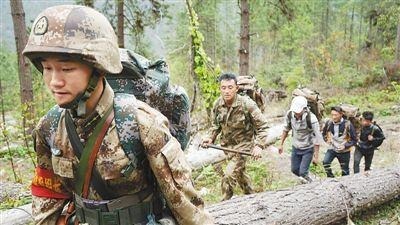 Beijing is keen to rewrite the narrative and sell it to lakhs of its citizens visiting South Tibet; its idea is to prove that India attacked China in October 1962. At the end of October 2017, as an offshoot of the Doklam episode, Sina.com published an album of photos “to commemorate the 55th Anniversary of the Outbreak of the Self-Defense Counterattack.” Note that for Beijing, it is the ill-equipped and unprepared Indian troops who attacked the Chinese, giving China no option but to ‘counterattack’, killing hundreds of Indian jawans and officers in the process. One of the photos, showing the People’s Liberation Army (PLA) parading in front of the Potala in January 1963, in Lhasa linked the 1962 War with the 2017 standoff in Bhutan: “The leader of the Chinese Communist Party, Mao Zedong, once estimated that India’s ‘embarrassment’ [of the 1962 War] could usher in 10 years of border security and peace. History has proved that the period of peacetime has been longer than estimated. Today, 55 years later, India once again provoked China.” The message was clear. At the time of the 1962 War, disinformation already existed. The Indian PoWs reported the opposite; they ate only radish and immensely suffered during their months of captivity on the cold Tibetan plateau. Today, the Chinese propaganda is using the 1962 conflict to its benefit. 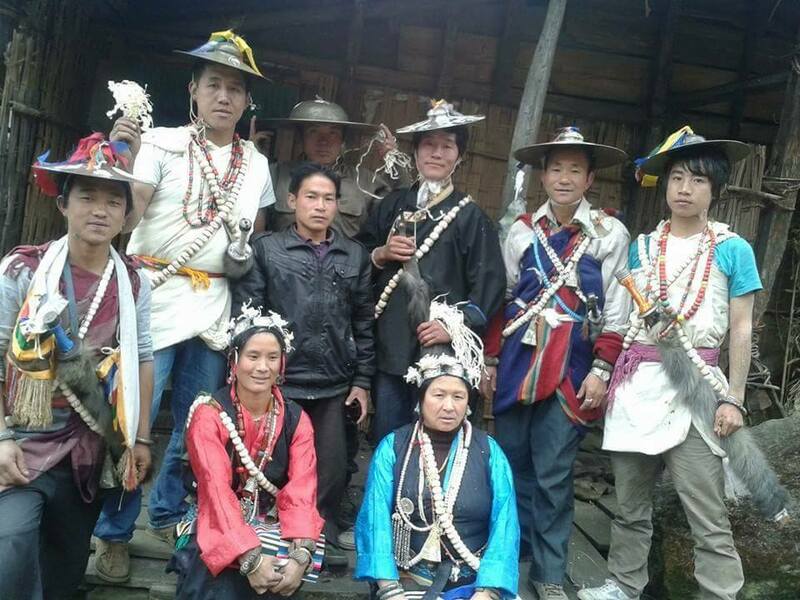 Che Dalha (alias Qizhala), the Governor of the Tibetan Autonomous Region (TAR) recently visited Zhayul, north of the McMahon line in the Lohit Valley. 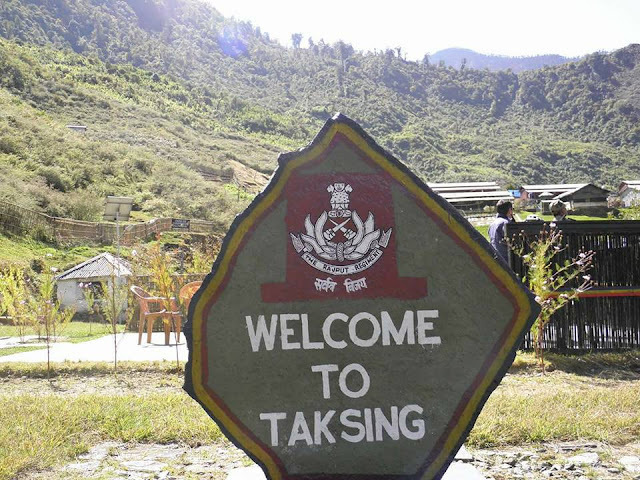 Some 50 km south in the same valley, the famous Battle of Walong took place in November 1962; here Indian troops and particularly the six Kumaon regiment of the Indian Army managed to stop the Chinese advances and paid a high price for it; the Chinese too suffered heavy casualties. 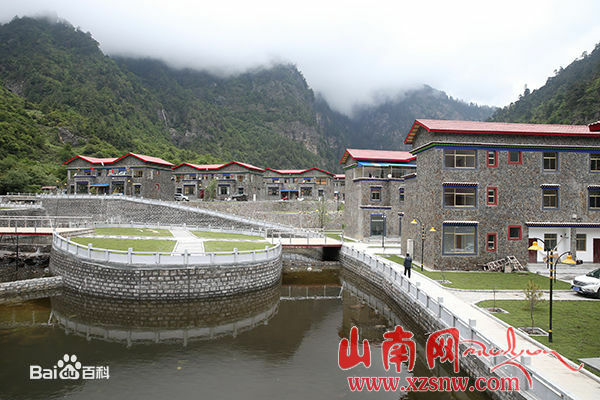 China has built a Hero Memorial Park to honour its deaths in Zhayul. During his visit, Che told the villagers that the masses should always cherish the memory of the revolutionary martyrs; he laid a wreath for 447 Revolutionary Martyrs at the War Memorial. The story will now be told to thousands and thousands Chinese visitors, how ‘the Indians attacked our troops’. Incidentally, Che took the opportunity to urge the villagers to watch for strangers or suspicious persons (Indian? ); he asked them to cross-examine them and send a report to the PLA manning the Indian border. Another memorial stands north of the Thagla ridge in Tsona County. The Forward Command Post of General Zhang Guohua, who commanded the PLA operations in 1962, has been reconstituted and opened to tourists. It is located in Marmang village, the first hamlet north of the McMahon Line. This gazetted national-level historical site also mentions the ‘Sino-India Self Defense Counter Attack Battles’, hotels are already mushrooming to receive the visitors. ‘Information’ will certainly be an important part of any battle of tomorrow. Has India grasped this? Not sure. In the meantime, Indian journalists should scrupulously verify the facts when they write. 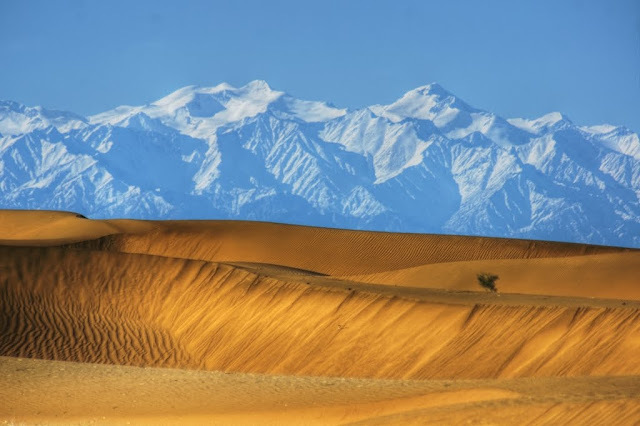 Linking Xinjiang to south Asia seems to be a new dream for the leadership in Beijing. 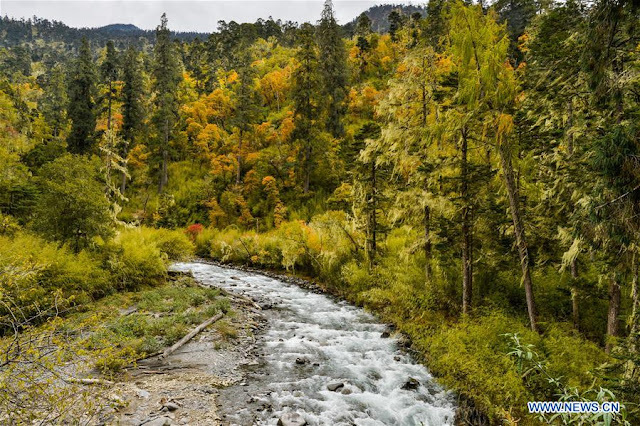 After focusing for years on Lhasa and southern Tibet, Beijing has decided to invest in the development of western Tibet, known as the Ngari Prefecture of the Tibetan Autonomous Region (TAR). 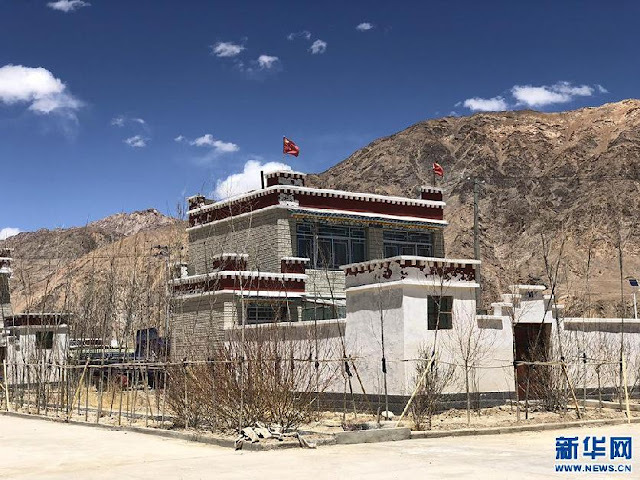 Despite the 2015 Nepal earthquake which delayed the building of infrastructure in the area, particularly the railway line Lhasa-Kyirong at the Nepal border, the work has now started at an accelerated pace. 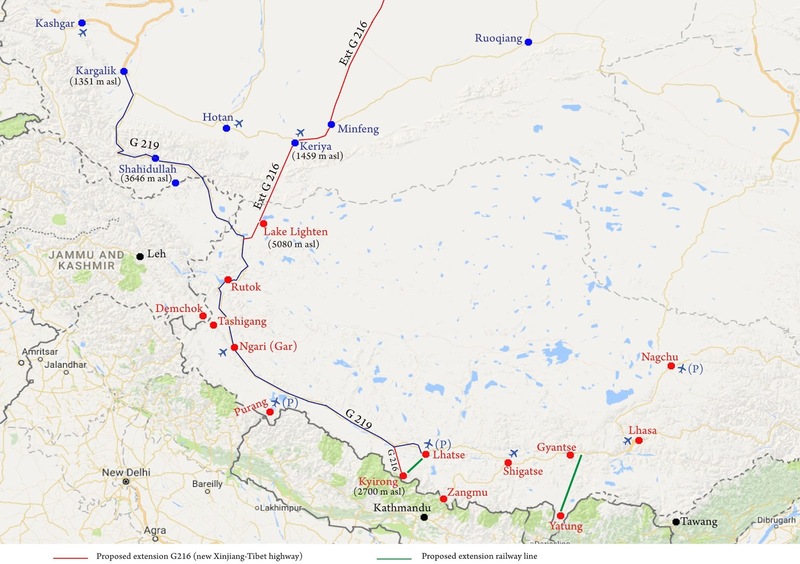 One project which could have serious strategic implications for India is the extension of the National Highway G216 from Xinjiang to Kyirong landport; linking Xinjiang to south Asia seems to be a new dream for the leadership in Beijing. Though technically it is a formidable challenge to cross the Kunlun range, the Chinese engineers are determined to implement the scheme. This could also have immense economic consequences as it may become the main conduit of a new Silk Road from Central Asia to Nepal and South Asia. Has India been taken into the loop when Prime Minister Narendra Modi "informally" met the Chinese president recently? It is doubtful. Meanwhile, western Tibet develops fast. In January, VTIBET.com reported that the Ngari prefecture received over 6,60,000 visitors in 2017. 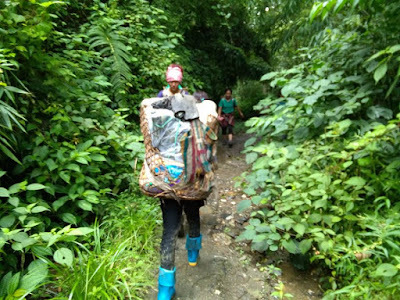 The statistics released by the Ngari Tourism Bureau website said that it was a 20 per cent growth compared to the previous year. Even the revenue increased. 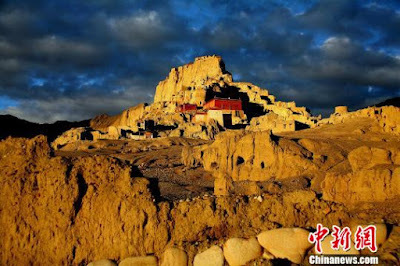 “The tourism revenue totalled about 750 million yuan, up by 10 per cent over the same period last year.” The website cites the prefecture’s marvels: the Kailash Manasarovar area, the ruins of the former Guge Kingdom and the Tholing Clay Forest — all located in Ngari Prefecture. Last month, Radio Free Asia (RFA) announced that the Chinese authorities have seized farmland in Lhatse to build a new airport, “displacing Tibetan villagers and offering far less in compensation than the land is worth”. RFA argued that the land belonged to Yushang village in Shigatse prefecture’s Lhatse county. Apart from the deprivation of the land, the news item shows that in the years to come, Western Tibet could become the new economic and touristic hub and, of course, an important strategic centre for the defence of China’s borders. The opening of a new airport should be seen in this perspective, though the rapidly increasing trade with Nepal shouldn’t be ignored. According to Tibet Business Daily, the total value of Tibet’s foreign trade exceeded 5.8 billion yuan (nearly Rs 6,700 crore) in 2017. “The domestic economy has been steadily improving, and the demand for international market has generally recovered,” noted the daily. Gyawali noted that China is Nepal’s genuine friend and a trusted ally. “We should build on the excellent roots of civilisational, geographical and cultural affinities to further connect our countries and societies.” This new civilisational bond between China and Nepal explains the need of a new airport in Lhatse. China Tibet News Network mentioned another megaproject, the "extension" of the G216 Highway which, according to the article, will end in Kyirong. What does the extension of G216 mean? In 2016, a "Public Announcement for the Environmental Impact Assessment (EIA) of G216 (Tibet Area)" was made. The original 857-km-long highway starts from Altay City in northern Xinjiang and ends in Baluntai (in Hejing County). It will now be extended via Minfeng and Keryia in southern Xinjiang to western Tibet and Nepal. Needless to mention the immense technical challenge to cross the Kunlun range between Keryia and Rutok where the road will join the G219 or Aksai Chin road. To give an idea, Keryia is located at 1,459m sea level, while Lake Lighten on the plateau is at 5080m (a 3,500m climb in less than 200km). 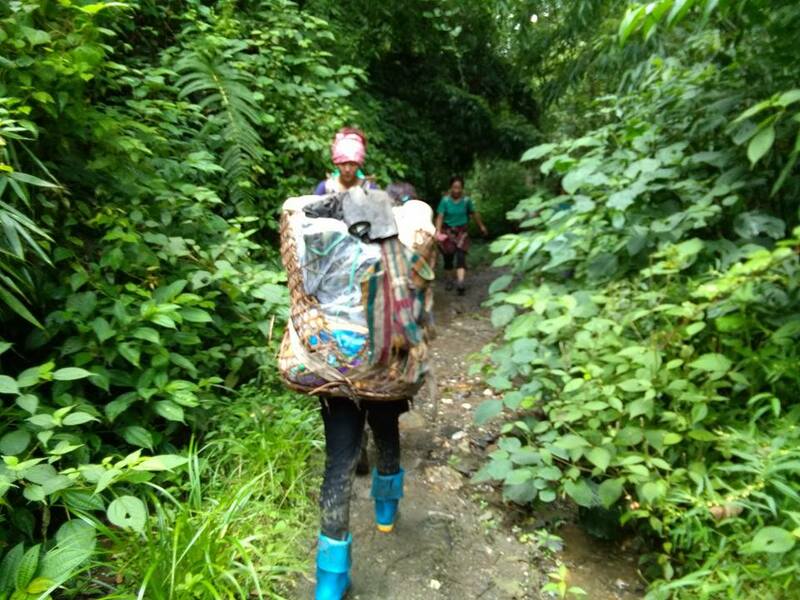 It is perhaps the most difficult terrain in the world. 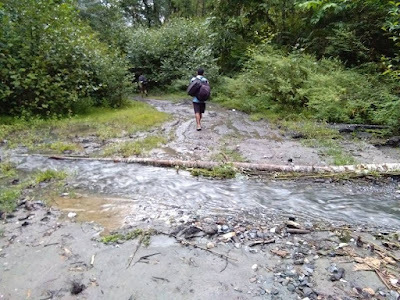 The main bridge in this section is said to have collapsed “and the road surface was broken and cracked.” Kyirong is located 24km away from the Nepal border; it is now the main channel for land trade between China and the former kingdom. The point remains that if the terminal section of G216 towards Kyirong is difficult, it is nothing compared to the section which will try to cross the Kunlun range, north of Lake Lighten. One more crazy dream of the rulers in Beijing? Or a visionary project in view of the importance of having a second Xinjiang-Tibet highway (after the Aksai Chin road built in the early 1950s)? Could it be a true New Silk Road linking Central Asia to South Asia via Nepal? It is difficult to say today. The engineers have to cross the Kunlun first. India should watch the developments. In the recent weeks, I often mentioned the mushrooming a new ‘model’ villages on the Tibetan side of the Indian border, mainly north of Arunachal Pradesh. This development has been linked with ‘poverty alleviation’ and the ‘defense the borders’. 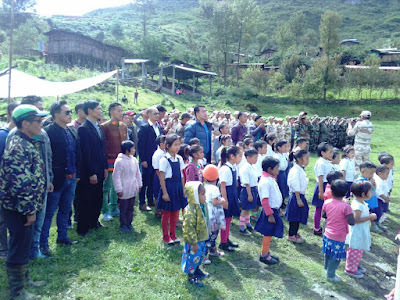 Several senior Communist leaders have visited these new villages, either north of Kibithu (there is War Memorial as a bonus); in Metok, north of Upper Siang district; in Yume (also written Yumai), north of Takshing in Upper Subansari or in Lepo, Marmang and Tsona, north of Khenzimani and Tawang. It is interesting to look at the recent increase of visitors in the TAR and the rationale behind this Chinese move. According to China Tibet News, Lhasa received 918,900 tourists (mainly inland tourism) during the first three months of 2018. It represents a year-on-year increase of 38%. The influx of visitors brought 1.2 billion yuan in tourism revenue, up 30%. The accommodation in star-hotels soared by 35%. Tourist attractions such as the Potala Palace and Jokhang Temple witnessed a double number of visitors (despite the ‘structural restrictions’ for the Potala). The sales of souvenirs have doubled over last year. During the tomb-sweeping holiday (around April 4 and 5), Lhasa welcomed 284,600 tourists generating 214 million yuan (35 million US $) in tourism revenue. The representation of the epic opera about Chinese Princess Wencheng started on April 20; after five days only, this performance has attracted 8,531 tourists, a growth of 19% compared with the same period of last year. But there is something new in the TAR and perhaps more important for India; it is the ‘border tourism’. TAR’s Party Secretary Wu Yingjie recently gave an interview to The People's Daily about the TAR’s development, particularly in the border areas. ‘Guardians of the sacred land and builders of the happy homes” is the new motto for Party’s work with the borders’ Tibetan populations. Wu added: “We must firmly establish ‘four consciousnesses’ and firm up the ‘four confidences’, i.e. 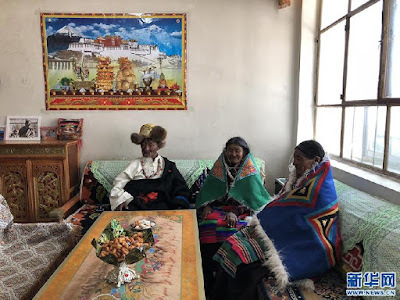 “Strengthen the ideals and beliefs, and vigorously promote the 'old Tibet spirit' and the 'two-way spirit' [it is not clear what the ‘two-way spirit’ is] and work hard to promote long-term development and long-term peace in Tibet in the new era." 'Old Tibet spirit' refers to the work of the first Communist cadres who worked in Tibet in the 1950s. Wu also quoted Xi on the management of Tibet, the rule of law, the improvement of the life of the local people, the long-term construction of Tibet and the consolidation of the people’s minds. These were the basic principles, said Wu. The latter plan (consolidation of people's mind) is the Party's propaganda work to induce the local Tibetan population on the side of the Communist Party. Making the inhabitants of the borders (with India) ‘the protectors of sacred homeland and the builders of happy homes,” can be found in each speech these days. A confirmation of the Indian border? As I mentioned a few months ago, one could be read in the scheme, the confirmation of the border with India in all the places mentioned above (where new model villages have come up). Whether this is true or not is another issue. He advised to ‘work hard on these lines’ and continue to promote the adaptation of the [Buddhist] religion to the socialist doctrine: “Education will guide the masses to treat religions rationally”, he argued. This is of course debatable if ‘education’ can change the religious mindset of the Tibetan population. The village-level party organizations should be built into strong fighting bastions that listen to the Party, reunite the people, develop the villages, get them wealthier and maintain Tibet’s stability, without failing 'to be confused'. The idea is to 'strengthen the feelings of the masses'. 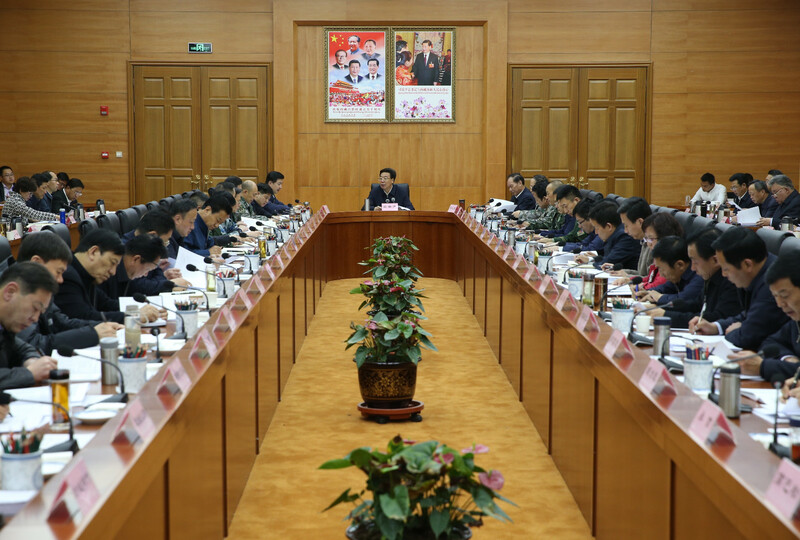 Then, Wu dealt directly with “a series of effective measures to accelerate the development of the border areas”. These measures are clearly post-Doklam. As often mentioned on this blog, this is Chairman Xi Jinping’s pet project. Every cadre has to praise it. Wu added that “more and more border people are taking root in the snow-covered areas like Kelsang flowers.” Once again an expression used by Xi. 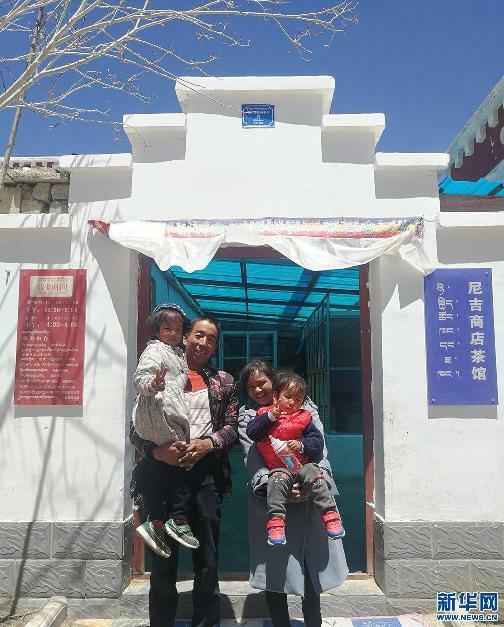 Wu mentioned different requirements for the proper implementation of this new policy of strengthening the border villages; one is the selection of the impoverished villages (in Chamdo, Nagchu, and Shigatse and other places in Western Tibet), he mentioned. Another one is the industry’s precise requirements to support poverty alleviation and employment. Industries such as the barley production and selling of yak products have already lifted 32,300 people of poverty, affirmed the Party Secretary. However, tourism and cultural industries remain the pillars of the scheme; it helps the poor to get rid of poverty through participation 'in tourism and cultural industries' and it promotes 'ethnic exchanges'. Another requirement which is very controversial is the relocation of some truly poor people from areas “with extreme water and soil conservation conditions, such as high altitude and ecologically fragile areas” to ‘productive’ areas with good resources and weather conditions. It means practically shifting nomads to ‘smart’ villages, which are not that ‘smart’. Wu mentioned other requirements such as ensuring that 80% of Tibet's aid funds are spent on the most remote and poorer regions. Once again Yume (or Yumai) is the ideal village selected as the model for the scheme. Efforts would continue to be made “to enable all ethnic groups to enjoy high-quality medical education services at their doorstep. 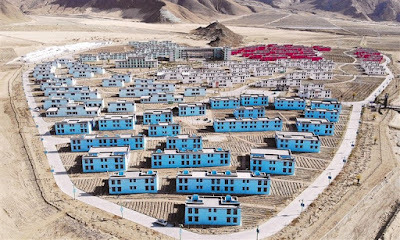 We have actively promoted the construction of beautiful Tibet and deepened the practice of green development”, he concluded. 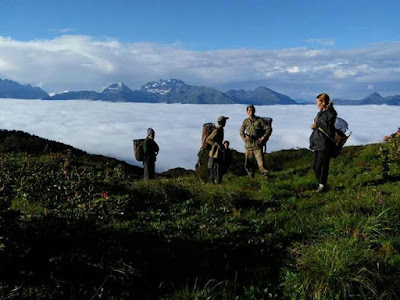 Zhayul County is located north of Anjaw district of Arunachal Pradesh in the Lohit valley. The article speaks of the civilian population and the soldiers working 'hand in hand’; the love of the people supporting the New Age Army. It is not clear if this refers to an Indian ‘intrusion’ on China’s perceived territory. The reporter then took another example: “In Shama village, if there are strangers or suspicious people, the villagers, regardless of their age, will step up to cross-examination and find suspicious points [of entry] which will be reported to village officials and frontier defense officers, effectively preventing the penetration of hostile saboteurs.” The article speaks of an ‘Invisible Great Wall' to guard the country. Though it is difficult to position these villages on a map, it shows that China is trying hard to enlist the border Tibetan populations on the side. Can it succeed is another issue. But it is certain that incentives (and employment) are thus provided to the local Tibetans. Wu Yingjie who is also first secretary of the Party Committee of the Tibet Military Region, and the director of the TAR’s Military and Civil Integration Development Committee, presided over. 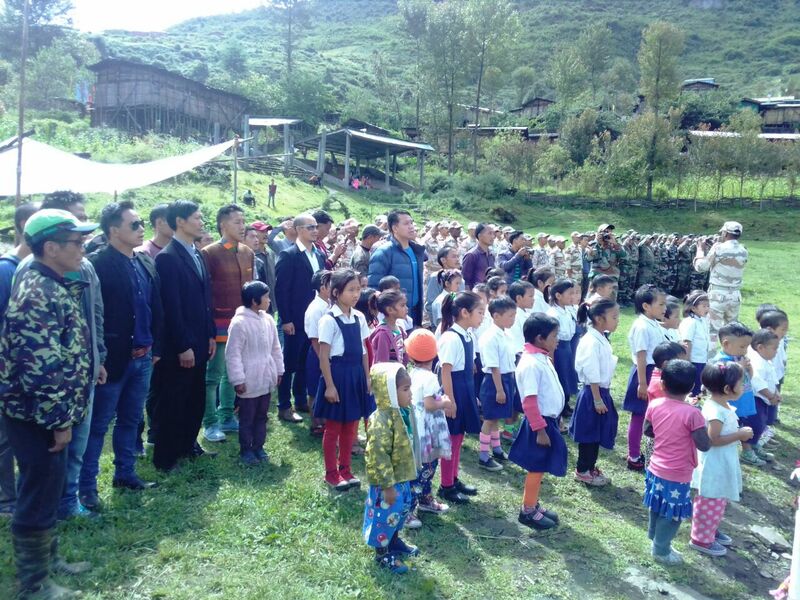 Deputy Party Secretary Che Dalha (also Deputy Director of the Military and Civil Integration Development Committee) and Lt Gen Xu Yong, the Commander of the Tibet Military Region (also a Deputy Director of the Military and Civil Integration Development Committee) attended. They all reported about the rapid integration of the civil and military development in the TAR in 2017; the key issues to be dealt with in 2018 by the task force of the Committee was the integration of military and civilian in the ‘13th Five-Year Plan’ of the TAR’s Development Plan. Civil and military integration is also a pet project of Xi Jinping. The above gives insights in the theoretical background of the new Chinese campaign on the borders of India. 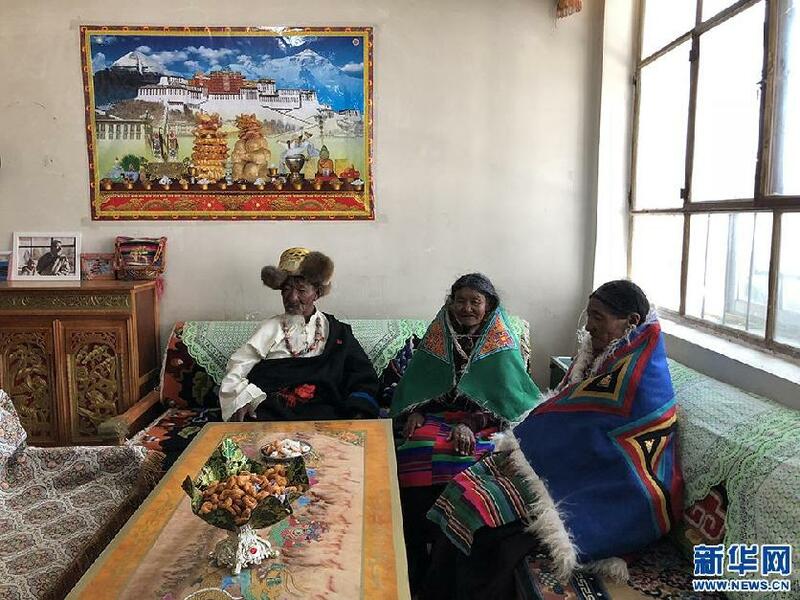 In the coming months, Beijing will continue to try to enlist the Tibetan populations on their side of the boundary, not only in Nyingtri area (Nyingchi City), but also in Western Tibet. 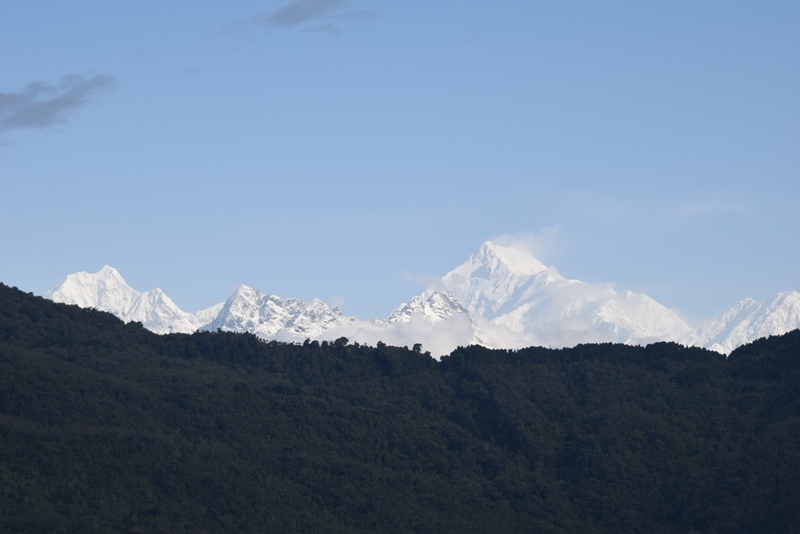 Similar stories have been reported from Purang, near the trijunction with Nepal and Tibet. At the same time, the empowerment of the border villages can be read as a reiteration of the border between India and China. But on this, Delhi should be cautious and it needs to closely watch the unfolding situation. This month, India and Bhutan are celebrating the 50th anniversary of their diplomatic relations. On this occasion, I post a note written by Jawaharlal Nehru, the Prime Minister of India on January 20, 1954 after a dinner with the King of Bhutan. Jigme Dorji Wangchuck (2 May 1929 – 21 July 1972) was the Third Druk Gyalpo. He is credited with opening Bhutan (or Druk, the Land of the Dragon) to the outside world, to have started the modernization process and have taken the first steps toward the democratization of his country. 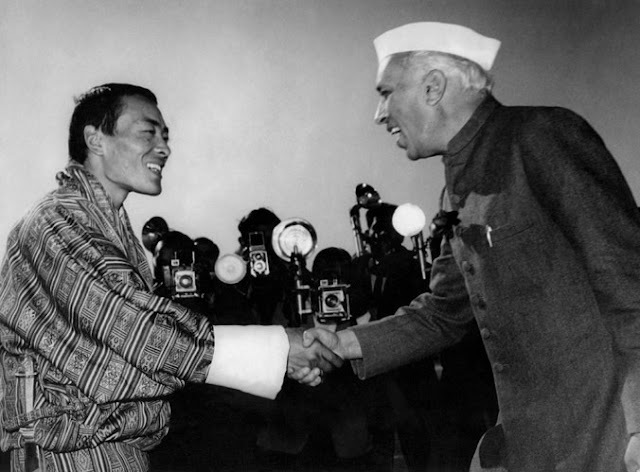 In September 1958, Nehru would visit him in Paro, crossing over the Chumbi Valley. See my post of the subject. This was of course a serious misjudgment. Though Bhutan is now a fully independent nation, what is happening in Bhutan remains ‘vital’ to India. This would eventually lead to the survey of the trijunction between Tibet, Bhutan and Sikkim (Batang-la area) two years later by TS Murty, an officer of the Indian Frontier Administrative Service (with a team of the Survey of India). It would then be realized that the trijunction was Batang-la, not Gyemochen (or Gipmochi). A large collections of documents on the relations between Bhutan and India are available on my website. I had a long talk with the Maharaja of Bhutan after dinner to-night. The Maharani was asked to join us after some time at the instance of the Maharaja. According to him this was desirable as he did not always understand what I said and the Maharani's knowledge of English would help. 2. I expressed my pleasure at their visit to India which had enabled us to know each other better and also given them an opportunity of seeing a bit of India. I was sure that this would lead to greater understanding and fuller co-operation. 3. The Maharaja entirely agreed and thanked me for all the friendliness shown to him here. He said that Bhutan's relations had been friendly with India even in British times, and now they were friendlier. 4. I then mentioned very briefly the difficulties and tensions of the world and the possibility of even distant countries being affected by them. Bhutan had kept an isolated existence in the past and, for my part, I thought that this was a wise policy then, otherwise the British Government would have interfered a great deal. But conditions were very different now because of various happenings. The world was a much tighter place to live in, and the Tibet-Bhutan-India frontier was much more important now. We had, therefore, to take a broader view of the present as well as the future and it would become progressively more difficult for Bhutan to remain isolated. We had no desire to interfere in the internal government of Bhutan, though we were, of course, interested in Bhutan's progress and the well-being of her people. But, we were very greatly concerned with anything affecting foreign affairs and defence of Bhutan. It was for this reason that in our last Treaty [of 1949] it had been mentioned that the foreign affairs of Bhutan should be conducted with the guidance of India. Foreign affairs were intimately connected with defence. A wrong step by Bhutan in either of these matters might land us in difficulties. Therefore, there has to be the fullest co-ordination between Bhutan and India in regard to foreign affairs and defence. 5. In so far as Bhutan was concerned, the only two countries that affected her were India and China (or Tibet). We were friendly with China and there was no reason to think that between India and China there would be any conflict. Nevertheless, one must not leave things to chance and it was in the interest of India and Bhutan both to co-ordinate their defence and foreign policy. I mentioned that, even in the case of Nepal, this was our understanding. Indeed, India's real defence lay in the Himalayas. Any intruder coming into Nepal or Bhutan would weaken that defence and we could not tolerate it. 6. I developed this point rather fully. The Maharaja said that they quite understood that in regard to foreign policy India should be interested and they would give every consideration to what India said in this matter. I again pointed out that this was a vital matter for India. 7. I referred to our previous suggestion about having an Agent in Bhutan and said that this would help greatly in furthering our co-operation. It would be helpful to Bhutan in many ways and, in any event, we would be in direct contact which was so necessary. The Maharaja referred to past history and said that his National Assembly had not viewed this with favour but he was prepared to consult them again. He said that he was in constant touch with Mr. [BK] Kapur [the Political Officer in Sikkim]. I said that this was right, but, it would be advantageous to have an Indian Agent in Bhutan. I had no desire to press this against the will of the Maharaja and the Bhutan Government. But I did not understand why the Maharaja or his Government should be apprehensive in this matter. That showed a certain lack of confidence in us. We should proceed on a basis of accepting each other's bona fides and having confidence in each other. I left it at that. 8. I discussed internal conditions in Bhutan, the land system, the Nepalese there etc. The Maharaja said that there were no big zamindars there and land was owned by peasant proprietors who were happy and prosperous. There was no trouble with them. There was also no trouble with the resident Nepalese in the valleys, though two or three outsiders had come and tried to create some trouble. 9. I referred to the survey of the Manas river. 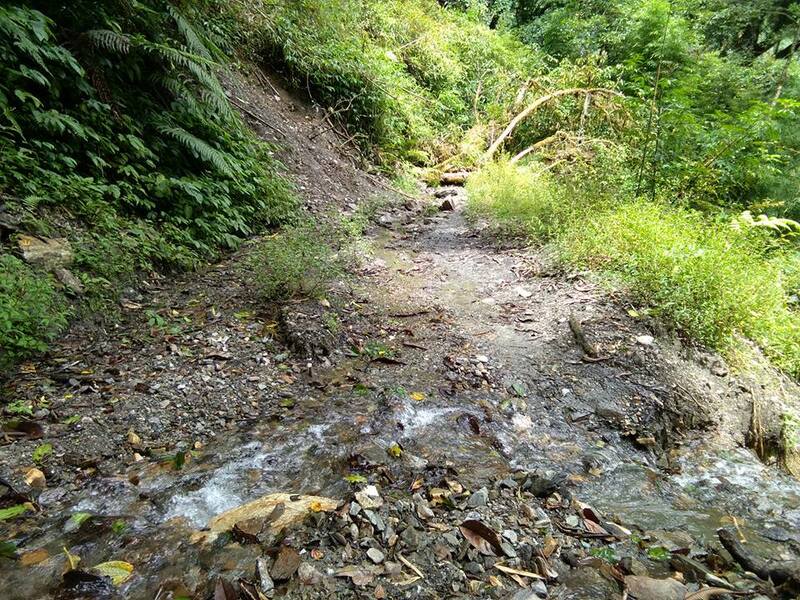 He said that this matter had been raised in his father's time who thought that if a dam was constructed, the backwash of it would be injurious to Bhutan. I pointed out that the first step was a survey. Nobody could say now whether this survey would lead to the construction of a dam, and, in any event, no such decision could be taken without the consent of the Bhutan Government. As for a survey, he said that permission had been given within a limited area. I said that this was not good enough and that the survey should have to take into consideration broad areas. He said he would consider this matter further. 10. I then referred to the foreign exchange question and said that we had to be very careful about this so as not to waste it. Generally speaking, Bhutan should be able to get her requirements from India. Where this was not possible and something was specially wanted from abroad, there would be no difficulty in our arranging for foreign exchange. I suggested that we might have a minimum figure (I did not mention the figure) for foreign exchange. Any addition to this, if necessity arose, we would consider favourably. 11. The Maharaja referred to the necessity for free trade between Bhutan and India. He said that this had been more or less agreed to by Mr Harishwar Dayal [previous Political officer] at the time last Treaty was framed . It was then said that this might be left out of the Treaty but would nevertheless hold good. As a matter of fact, there were tell gates right near the frontier with West Bengal, and each truck was charged at the rate of Rs. 5 for round trip. This affected contractors on the Bhutan side. I told him that I knew nothing about this and no mention of this had been made previously. This question had better be discussed with our officers. 12. This was the substance of my conversation. Towards the end, the Maharaja again expressed his happiness at having come here and established personal contacts. Copies were sent to the Secretary General of the MEA, the Foreign Secretary and the Joint Secretary. The development of Western Tibet (Ngari Prefecture) is going on in an accelerated manner despite the 2015 Nepal Earthquake, which delayed for at least 3 years, the building of infrastructure in the area, particularly the railway line to Nepal (to Kyirong, spelt Gyirong by the Chinese). But there is more, China is planning to extend the national Highway G216 from Xinjiang to Kyirong landport with Nepal; linking Xinjiang to South Asia is a new dream for the leadership in Beijing. It will have immense economic and strategic implications (for China and …for India). As we shall see, technically, it is not an easy proposition, but the Chinese engineers seem to be determined to work on the scheme. In January, VTIBET.com reported that the Ngari prefecture received over 660,000 visitors in 2017. Some 12 new tourism projects were built in Ngari during 2017, with an investment of 12 million yuan (not much!). Further, a 97 million yuan budget was approved by the central government to invest in six key tourism projects, a already announced in the 13th Five-Year Plan. The Pangong Tso, which shares its shores with India, is one of them: “This beautiful lake sits at an elevation of 4,350 meters. The lake and sky are both amazing shades of blue that make it become one of the must see scenes,” says the website. Incidentally, during the Doklam episode, the lake witnessed a clash between the Indian and Chinese troops in the vicinity of a place called 'Finger Four'. 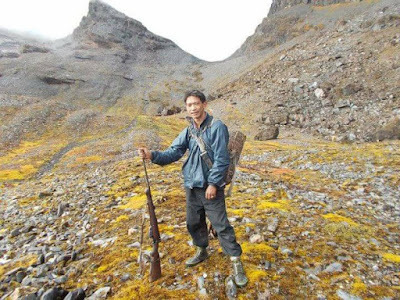 RFA argued that the land belonged to Yushang village in the Chusha municipality of Shigatse prefecture’s Lhatse county. Apart from the deprivation of the land, the news item shows that ‘Go West’ movement is unabated on the Tibetan plateau. 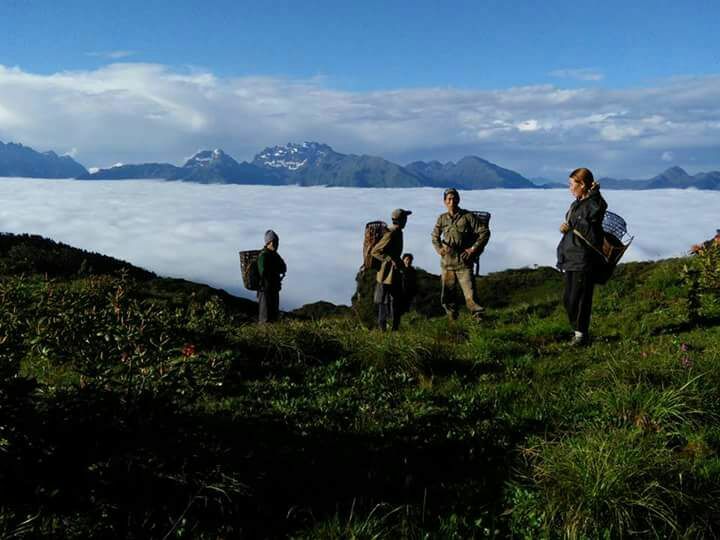 In the years to come, Ngari will become the new economic and touristic hub for the plateau and of course …an important strategic center for the defense of China’s borders. Ngari, with its rich cultural heritage (particularly the ruins of the Guge kingdom which are being restored, the Kailash-Manasarovar area or the Pangong tso), will be THE place to visit. The opening of a new airport should be seen in this perspective, but also the burgeoning trade with Nepal. According to Tibet Business Daily, the total value of Tibet’s foreign trade exceeds 5.8 billion yuan in 2017: “the domestic economy has been steadily improving, and the demand for international market has generally recovered,” noted the daily. Lhasa Customs’ data showed that the total import and export value of Tibet’s foreign trade was 5.885 billion yuan in 2017, adding 13.9% from the same period in 2016, among which the export reached 2.950 billion yuan; a decrease of 5.6% and the import totaled 2.935 billion yuan, an increase of 43.6%, with a trade surplus of 15 million yuan. While France is the largest source of imports, Nepal is the largest export market. 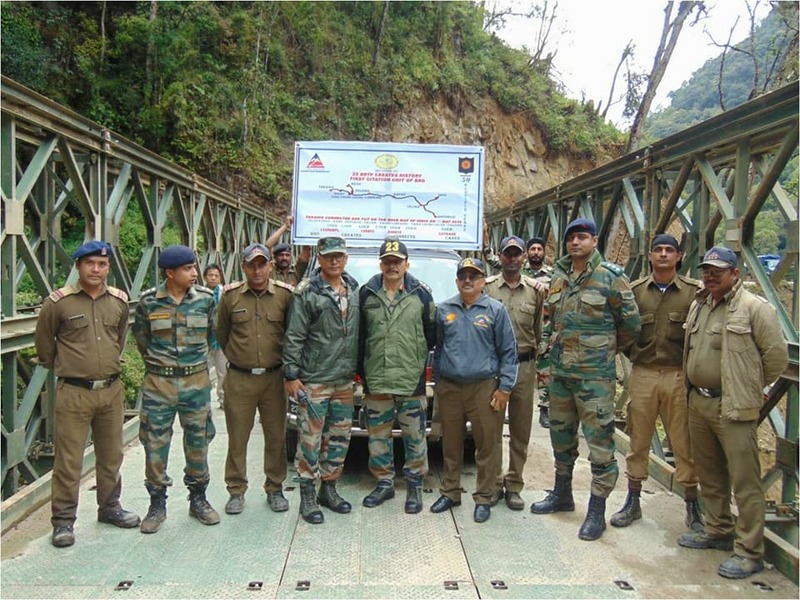 This partially explains the development of the infrastructure towards the Nepal border. The total import and export of those three countries reached 72.1% of the total value of the entire Tibetan Autonomous Region (TAR). Further, the import and export performance of private enterprises dominated the scene; it accounted for 71.7% of the total value of the whole year of 2017. This is mostly the trade with Nepal; we shall see that it was partially due to the difficult road conditions. This new ‘civiliziational bond’ between China and Nepal partially explains the need of a new airport in Lhatse. In this context, it is interesting to look at another piece of news which appeared the China Tibet News Network which mentioned the G216 National Highway (see my posting in December 2016 on the subject). According to the article, the National Highway No. 216 will end in the Kyirong (written Jilong in Chinese) county, near the Nepal border. 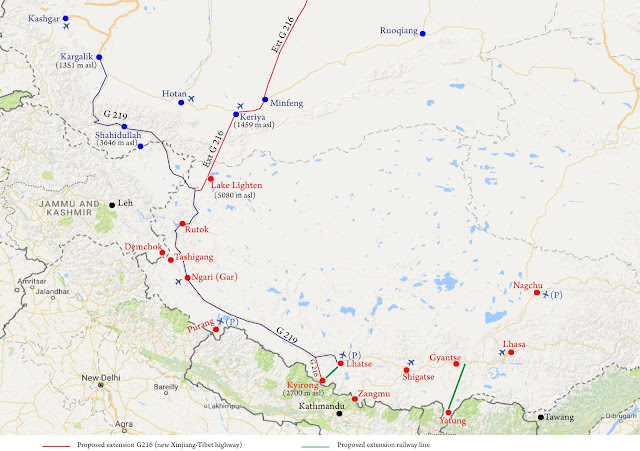 Incidentally, the G318 ends up in Zhangmu, the other landport between Nepal and Tibet; it runs from Shanghai to Zhangmu on the China-Nepal border. 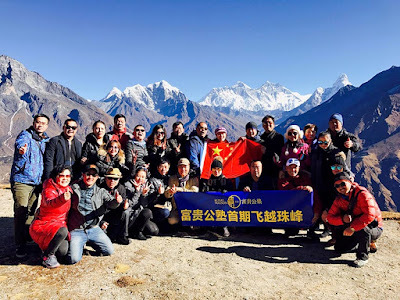 It is the longest National Highway with 5,476 kilometres, passing through Zhejiang, Anhui, Hubei, Chongqing, Sichuan, and ending in Tibet (from Lhasa to Zhangmu it is called Friendship Highway); a 115 km long Araniko Highway then connects Zhangmu to Kathmandu. As mentioned earlier, the G216 starts in Northern Xinjiang, from Altay City to Baluntai (in Hejing County). The 857 kilometres highway could be extended to Southern Xinjiang (Keryia) and later Western Tibet. Needless to speak of the immense technical challenge to cross the Kunlun range between Keryia and Rutok (joining the G219 or Aksai Chin road). As mentioned on the map above,Keryia in South Xinjiang is located at 1459 m asl, while lake Lighten on the plateau is at 5080 m asl (a 3,500 m climb in some 200 kms!!!). 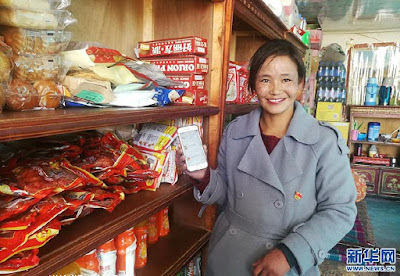 The town of Kyirong is only about 24 kilometers away from the Nepal border; it is now the main channel for land trade between China and Nepal. Let us remember that though the casualties in Tibet are not known, 8,857 died in Nepal and 21,952 were injured, while 3.5 million were rendered homeless as the result of the earthquake. Further, the railway line between Shigatse and Kyirong has been delayed by at least 3 years. In order not to affect China-Nepal Trading, a ‘fully-closed’ construction was adopted (probably selecting a new route). During construction, there are dangerous situations, said the website. According to Liu Jian, a member of the Standing Committee of the Kyirong County Committee and a member of the Landport’s Working Committee said that after the earthquake, the Zhangmu Port was closed and the Kyirong Port became the only channel for land trade between China and Nepal. In the first quarter of 2018, the total import and export trade volume was however up to more than 600 million yuan. “Usually, we put more than 80 trucks in Nepal and released more than 70 vehicles. In the peak season, more than 100 trucks can enter and exit. The imported goods are mainly bronze sculptures, decorative copper ornaments, decorative aluminum ornaments, and handicrafts. Products, etc. ; exports of goods are clothing, footwear, agricultural and sideline products, textiles, hardware, small appliances, etc”. The point remains that if the terminal section of G216 towards Kyirong is ‘difficult’, it is nothing compared to the section which will try to cross the Kunlun range, north of Lake Lighten. One more mad dream of the Emperor? Or a futuristic vision of the importance of having second Xinjiang-Tibet highway (after the Aksai Chin road in the early 1950s)? Could it be a true New Silk Road linking Central Asia (Altai) to South Asia via Nepal? Difficult to say today ...the engineers have to cross the Kunlun first.